A simple act of kindness can make the world of difference and it is an important lesson in life that children at Upton Juniors in Broadstairs learn as part of their schooling. 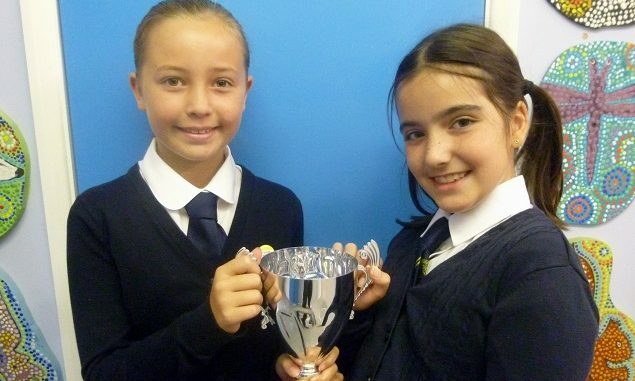 Now the school has decided to reinforce the ethos with the awarding of the Kindness Cup each week. “It is an important part of their social education and so we decided to publicly award the cup regularly to those who have really demonstrated kindness in a range of different ways. “Each week children are nominated by staff around the school or by their peers for acts of kindness. “Our first winners – Ellis Joyner and Farah Irani in Year 5 – asked if they could stay in at playtimes during the week to help staff prepare displays of children’s work around the school.